This article demonstrates how to set the row height and column width of an existing table in PowerPoint document using Spire.Presentation in C# and VB.NET. The following screenshot shows the table before setting row height and column width. Step 1: Instantiate a Presentation object and load the PowerPoint document. Step 2: Get the first slide. Step 3: Get the first table on the slide. Step 4: Set table row height and column width. A file with the EMLX or EML file extension is a Mail Message file used to store an email message. EML/EMLX file can converted to MHTML or MSG file format with few lines of core code by using Spire.Email. 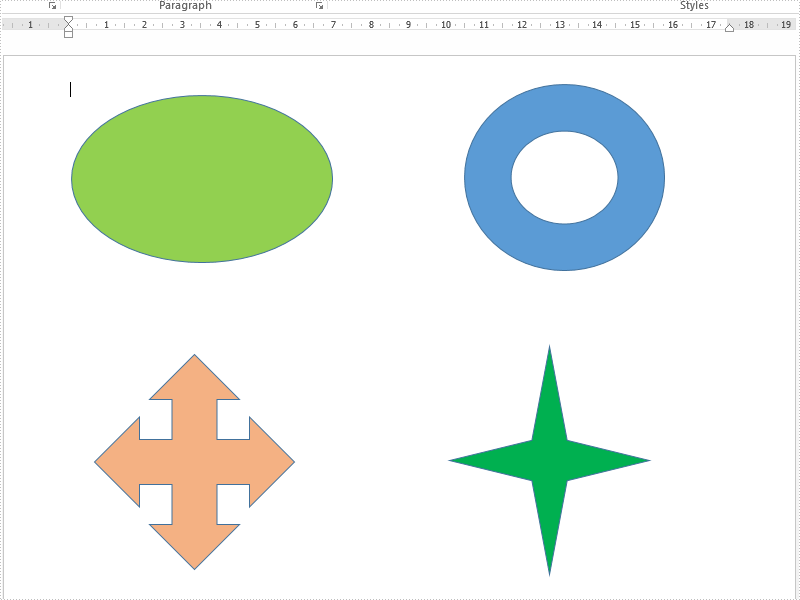 We have already demonstrated how to use Spire.Doc to add shapes to word document from code. 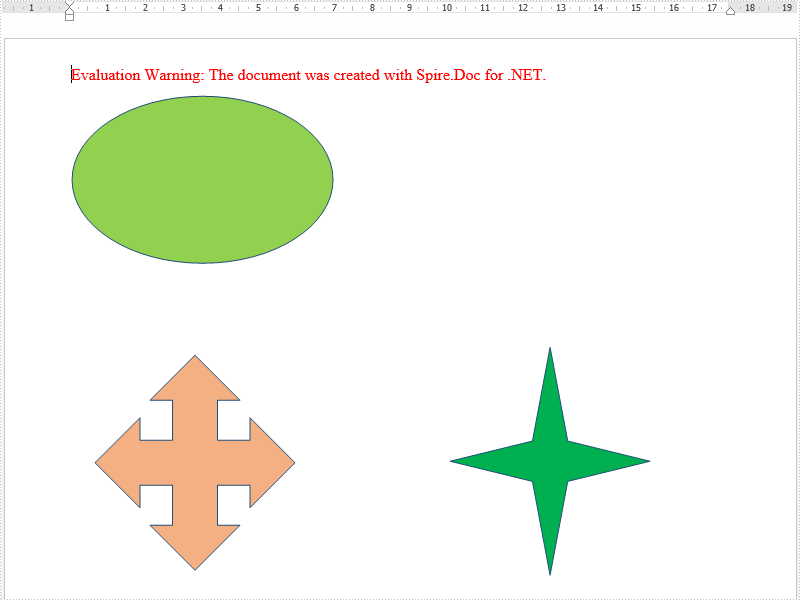 Spire.Doc also supports to remove a single shape by index or clear all the shapes from the word document. This article will illustrates how to remove the shape from word document in C# and VB.NET. Step 1: Initialize a new instance of Document class and load the document from file. Step 2: Get the first section from the document and the first paragraph from the section. Step 3: Get shapes from the first paragraph. Step 4: Remove the shape or all the shapes. Step 5: Save the document to file. Spire.Email supports to manage folder subscriptions by using ImapClient.Subscribe and ImapClient.Unsubscribe method. The following example shows how to subscribe to a folder and unsubscribe from a folder using Spire.Email component. Step 1: Create an ImapClient instance. Step 2: Set host, port, authentication and connection protocol. Step 3: Connect the imap server. Step 4: Subscribe folder using its name. Spire.Presentation supports to insert HTML formatted text to PowerPoint slide. The following code snippets demonstrate how to. Step 1: Create an instance of Presentation class. Step 2: Insert an autoshape (rectangle) in slide. Step 3: Clear default paragraphs in the shape. Step 4: Add paragraphs to shape from HTML code. Make sure your HTML segments are written between <html><body> and </body></html> tags, otherwise, AddFromHtml method will fail to work. Step 5: Save to file. When we operate the email messages, we may need to send the message to many more email address. Spire.Email supports to send a message to many email addresses at one time. This article demonstrates how to add the new send To and Cc email address from an existing email message via Spire.Email in C# and VB.NET. Spire.Email allows developers to search mailbox for email messages that match the given search criteria. This article illustrates how to search email messages using Spire.Email component. Step 4: Select Inbox folder. 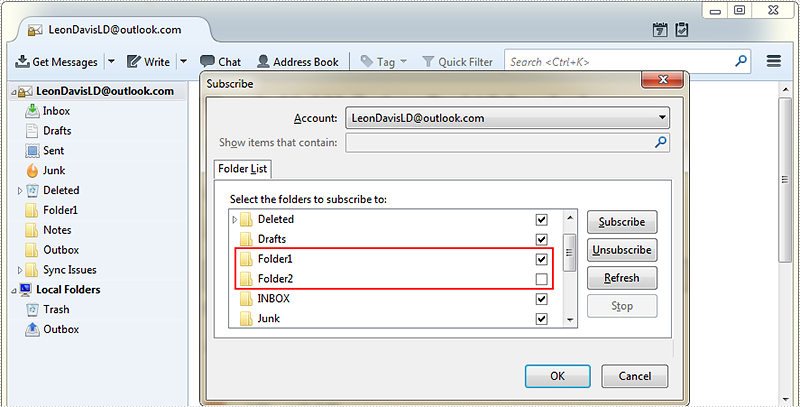 Step 5: Search email messages in the folder that match the search criteria. 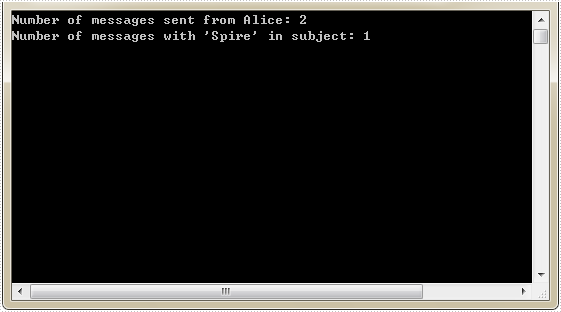 //Search email messages sent from "Alice"
'Search email messages sent from "Alice"
This article demonstrates how to delete a specific email message along with all email messages using Spire.Email component. Step 1: Create a POP3 client. Step 2: Set host, authentication, port and connection protocol. Step 3: Connect the pop server. 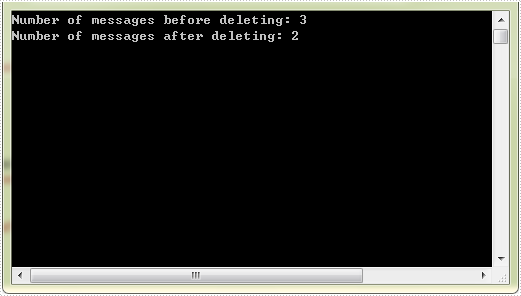 Step 4: Get the number of messages before deleting message(s). Step 6: Get the number of messages after deleting message(s). Spire.Doc included a variety of WordArt types in the ShapeType enum. In order to create WordArt in Word, initialize an instance of ShapeObject and specify the WordArt type and content. The following sections show you how to create WordArt using Spire.Doc step by step. Step 1: Create an instance of Document class. Step 2: Add a section, add a paragraph in section. Step 3: Create a ShapeObject instance and specify TextWave4 as the ShapeType. Specify the content of WordArt. Step 4: Set the position, fill color and stroke color of the shape (WordArt). shape.WordArt.Text = "Thanks for reading." This article illustrates how to get message contents such as from address, send to address, subject, date and the body of the message by using Spire.Email. Step 1: Load the mail message. Step 2: Create a new instance of StringBuilder. Step 3: Get the message contents as we want. 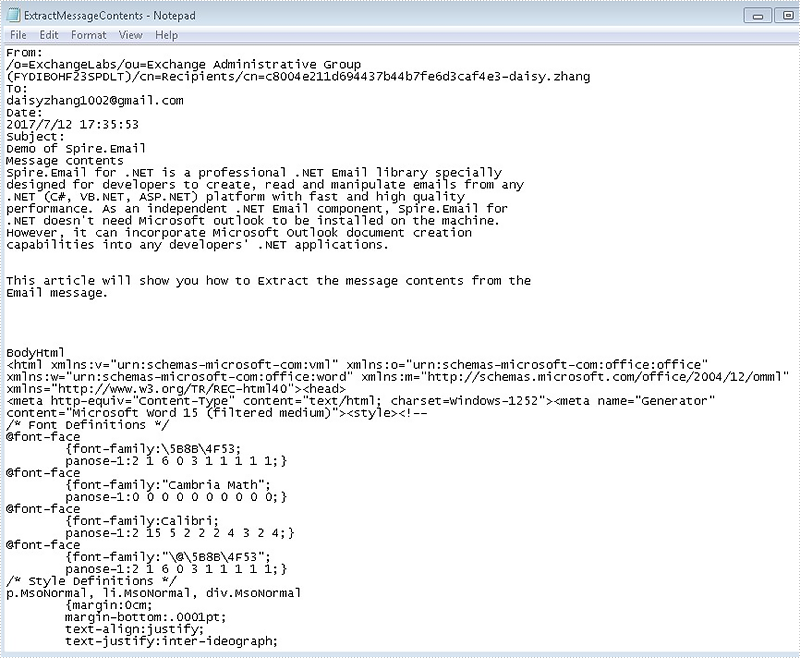 The extracted message contents in .txt file format.